While your mesothelioma attorney fights to get you compensation for mesothelioma, you may face mounting unpaid medical bills. If so you are not alone. A staggering number of Americans now struggle with unpaid medical debts according to a new report just issued by the U.S. government’s Consumer Financial Protection Bureau (CFPB). When someone has a debt that is past due, a debt collector reports the account to a credit agency. It then becomes an account in collection, damaging that person’s credit rating. Medical collections have become so rampant that an estimated 43 million Americans with an account in collection are there because of medical debt. Medical collections now make up 52 percent of collection accounts on credit reports, far outpacing any other type of debt. The report suggests that many Americans are being trapped by debt because they are confused by the notices they get from hospitals and insurance companies about the cost of treatment. As a result, millions of Americans may be shocked to find they are stuck with lower credit scores, making it harder for them to refinance their homes or buy a new car. Medical billing is complicated and confusing, the report says – something every mesothelioma patient and mesothelioma attorney knows too well. A single treatment at a hospital can result in multiple bills from multiple providers. For example, after a surgery, a consumer can receive a bill from the surgeon, the anesthesiologist, and the surgery facility. A health insurance policy may cover some providers and some procedures, but not others. And it may cover all or part of a bill. Some consumers may find it difficult to know what they owe, to whom or for what. People like those with mesothelioma who have many medical bills face even more challenges from the present medical billing and collection system. This may be particularly true for those with medical emergencies or lengthy hospital stays. 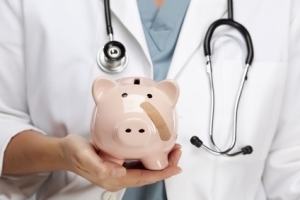 They may lack the support, time, energy or resources to untangle confusing medical bills. As they cope with devastating illness, they also must contend with the cost of care and figuring out how much their insurance will cover. “When people fall ill and end up at the hospital with unexpected bills, far too often they have entered a financial maze,” said the CFPB’s director Richard Cordray when the new report was announced. He promised that his agency will try to implement ways to improve the situation. The CFPB website provides a place for you to submit a complaint about problems with companies or debt collectors trying to collect on a debt. You should also discuss any medical bill concerns with your mesothelioma attorney. A good mesothelioma attorney will investigate medical bills for you and your Medicare and health insurance coverage. As part of your mesothelioma attorney’s services, he or she should negotiate the best resolution for you and also deal with any collection efforts.